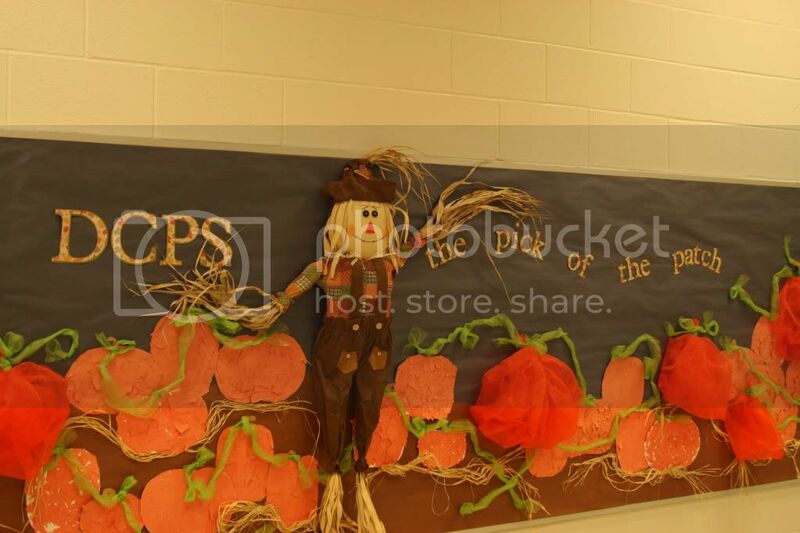 This is a bulletin board I made for our main hallway. I used Plantin Schoolbook font cartridge. I used the basic font and the font shadow for the lettering. My first grade students made the pumpkins. They tore orange pieces of paper to make a sort of mosaic. 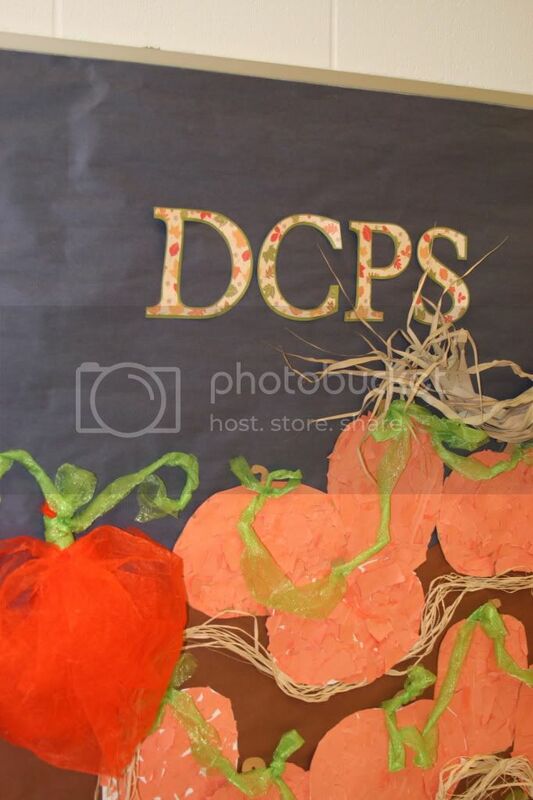 The three-dimensional pumpkins are made using some great rolled fabric I found at a local home store. 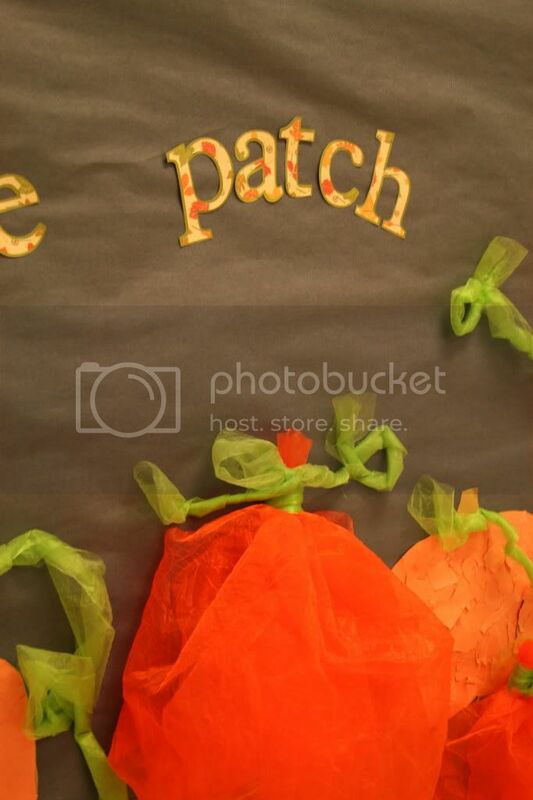 The pumpkin vines are made using a similar material, only on a narrower roll, and lime green. The cute scarecrow came from Wal-Mart.